IDG Ventures Vietnam, Germany’s Rebate Networks and Ru-net of Russia announced Wednesday their US$60 million investment agreement into MJ, a new business group in Vietnam that promotes e-commerce. The four sides announced the MJ Group establishment and their investment at a ceremony in Ho Chi Minh City. 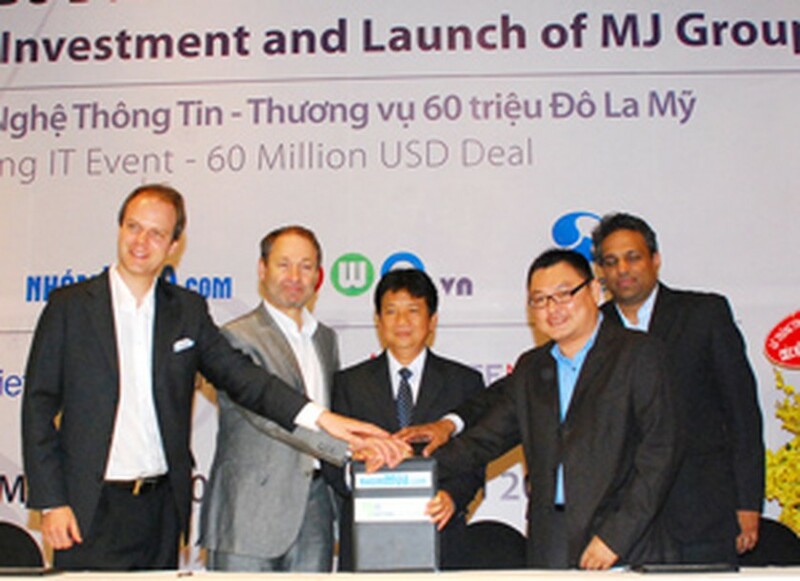 IDG Ventures Vietnam general partner Rachan Reddy, Rebate Networks CEO and founder Michael Brehm, Ru-net chairperson Leonid Boguslavsky from Moscow, and MJ CEO Tom Tran signed their investment deal at the MJ Group launch. The American, German and Russian investors did not announce their stake percentage in the online commerce platform. “This is Ru-net’s first investment in Asia,” Boguslavsky said, adding that his company saw clear potential from e-commerce in Vietnam. IDG Ventures Vietnam’s Reddy said, “This is a significant day for MJ Group and the companies which it encompasses – Nhommua.com and Diadiem.com. “It’s also a milestone for Vietnam’s e-commerce sector and the ICT community. “As some of you may know, IDG Ventures has been an early believer, supporter and investor in Vietnam and Vietnam’s technology and media community. We believed in the opportunity in Vietnam and also in the Government’s plan to prioritize, promote and build the sectors. Rebate Networks CEO and founder Brehm said his German company invested in innovative enterprises worldwide with a concentration in Asia, Europe and South America. Tran, meanwhile, announced the merger of Nhommua.com and Diadiem.com to form MJ. 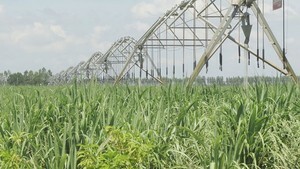 Diadiem.com is a leading location and navigation services provider in Vietnam. MJ also includes Two.vn, a mobile applications company, and Two Media, an online advertising expert. The merged company now has nearly 500 employees in Hanoi and Ho Chi Minh City, according to Tran, a Vietnamese-American. Nhommua’s chief operating officer David Tran said that a merger could strongly boost the strengths of the sides interested. “One plus one equals two in maths but could be more in a merger,” he said while showing a slide with 1+1=3. IDG Ventures Vietnam is the first technology venture capital fund in Vietnam. Since 2004, IDG has been working with entrepreneurs to grow innovative and market-leading companies. It currently has $100 million under management, with investments in over 40 companies in the technology, media, telecommunications, and consumer sectors. Its anchor Limited Partner investor is International Data Group (IDG), the world’s largest IT media company.